The Chattanooga Symphony and Opera&apos;s mission is to inspire, engage and enrich the Chattanooga community through music and music education. 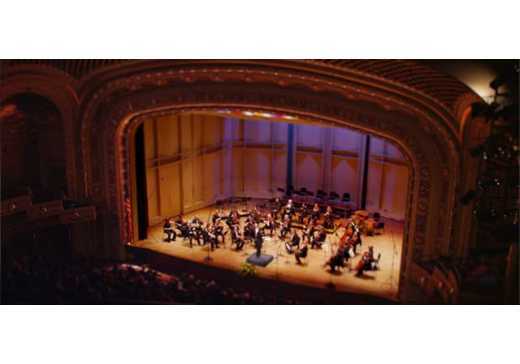 The CSO has provided Chattanooga and surrounding areas with professional musical performances since 1933 and performs symphony, opera, chamber and pops programs for a variety of audiences. Set in the historic and beautiful Tivoli Theatre, attending a CSO performance is truly an unforgettable experience. The Chattanooga Symphony traces its roots to an enterprising group of young people looking for an opportunity to play classical music together. Led by Melvin Margolin, several recent graduates and students from Chattanooga High School, joined by a few adult musicians in town, gave the first concert of the Chattanooga Symphony on November 5, 1933. In 1985, the Chattanooga Symphony and the Chattanooga Opera merged, becoming the Chattanooga Symphony and Opera Association (CSOA), the first symphonic and opera organization of its kind in the United States, and one of only a few such organizations still existing today. You can read the full history of the CSO here. The 2011-2012 season marked the first for CSO’s new Music Director & Conductor, Kayoko Dan. Music Director Kayoko Dan is the youngest conductor in the CSO’s history, as well as the first female to serve in this role. After hearing Scheherazade at an early age, Holly Mulcahy fell in love with the violin and knew it would be her future. She has won multiple tenured positions in symphonic orchestras from Richmond to Phoenix and has performed on a variety of domestic and international tours. Noted for her “beautiful tone and vibrato,” Kristen Holritz makes her home on stage as a remarkably versatile flutist. Josh has performed as soloist, orchestral, and chamber musician in Canada, England, Austria, South Africa, Japan, and in more than 20 states around the continental United States. The CSO employs approximately 190 musicians per season. THe CSO annually reaches over 100,000 through all of its concert series, community engagement, and education programs. 30 of the CSO&apos;s contract musicians have Masters Degrees and nine have Doctorates. The CSO&apos;s musicians are faculty members at virtually every college within 100 miles of Chattanooga. 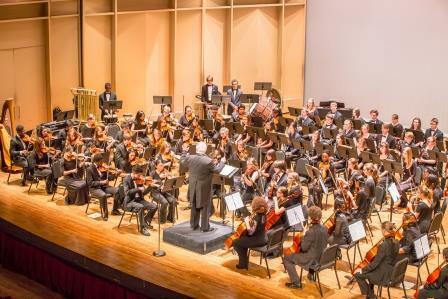 Three of the CSO&apos;s musicians are on the faculty of the Tennessee Governor’s School for the Arts. CSO musicians reach over 1000 students through classroom and private instruction (outside of what they do with their CSO ensemble program). CSO musicians have graduated from prestigious music programs at schools such as Johns Hopkins, Yale, Northwestern, Carnegie Mellon, Juilliard, Manhattan School of Music, and Indiana University. The 2016/17 Season features the Barnett & Company Masterworks Series with amazing music from composers past and present (including works by four living composers). Its First Tennessee Foundation Pops Series features Latin jazz greats, the Mambo Kings, its annual Home for the Holidays and Big Band Fever! concerts, Irish Fiddle phenomenon, Eileen Ivers, and the best music of your favorite Sci-Fi and Superheroes shows and films. The Chamber Series returns, expanded back to four concerts, with chamber favorites from Mozart, Prokofiev, Bottesini, Mendelssohn, a world premier of local composer Doug Hedwig’s String Quintet and more. Two special concerts are included in the season: a fully staged, two-night performance of Madame Butterfly and a family friendly Cirque de la Symphonie. Subscriptions start at $90 and are available online at www.chattanoogasymphony.org, by visiting the CSO box office at 701 Broad Street, or by calling 423.267.8583. Subscriber benefits include guaranteed same seats to Tivoli series concerts, free exchanges, no Tivoli Preservation fees, a 3-payment plan, additional ticket discounts, and pre-sale access to special concerts. Click here for 2016/17 Series package and subscriber information. Click here to download the 2016/2017 brochure. Click here to see the2016/2017 Season Concert Schedule.